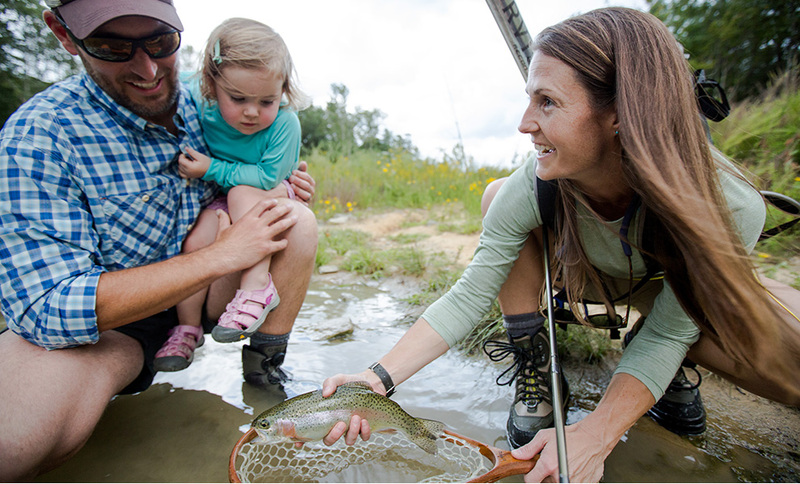 We were excited to this post about our family on the Orvis Fly Fishing Page. Becca Skinner & Catie Webster couldn't have captured our hearts better on camera or in writing! Happy Weekend, y'all and keep making time to do the things you love. I think this is the nices family portrait of you! I love the action and the positive faces... and brave looks curious! A friend sent me the link to Casting for Recovery this morning. CfR is a nation-wide non-profit that offers free outdoor and fly fishing retreats to women living with breast cancer. I think it might be something you would be interested in.